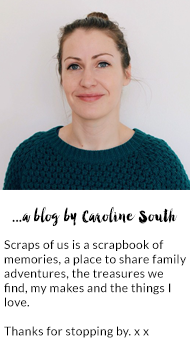 scraps of us : Blog birthday and a giveaway! Blog birthday and a giveaway! This time last year I wrote my first blog post. I wasn't sure if it was something I would keep up or if I would enjoy it, but after reading many others blogs for a while I thought I would give it a go and I'm so glad I did! I never imagined when I started this little space I would meet so many lovely people and make so many wonderful friends. This blog was intended to be a record of both my family and my scrapbooking, something I really enjoyed at the time! But it has since become a kind of scrapbook of it own, an online journal of the things we do to look back on. Anyhow this year I'm hoping to do a little more scrapbooking, I sometimes miss the crafty side - the cutting and sticking and the pretty papers. I thought I would try a smash book to keep all my bits and pieces in, somewhere to stick in my Instax photos and all the little bits and bobs I collect. I also bought another Smash book and a few bits as a giveaway, as a thank you for all your visits and your wonderful comments and support over the last year. 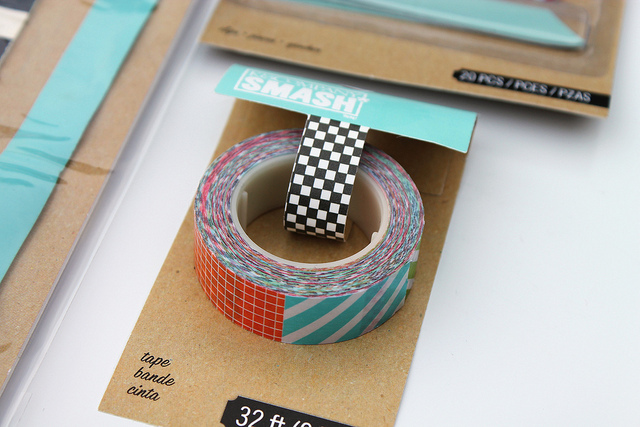 The prize is: a mod style smash book, patterned tape, label clips, plastic pockets and giant bands to hold the book together. 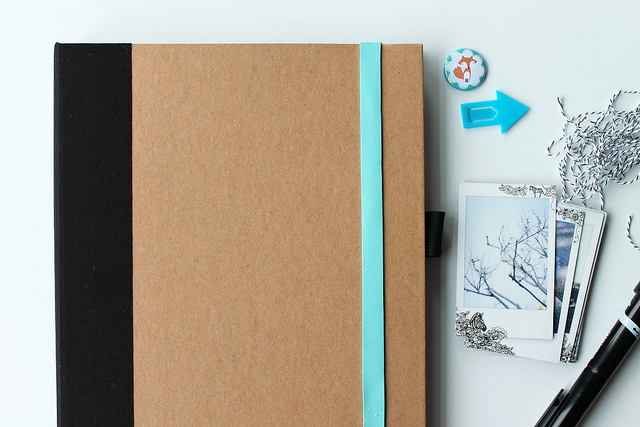 It would make a great journal or maybe a place to keep recipes or magazine cuttings. hello, please enter me thank you! I like the idea of making an inspiration journal. Me please! Happy blog birthday. 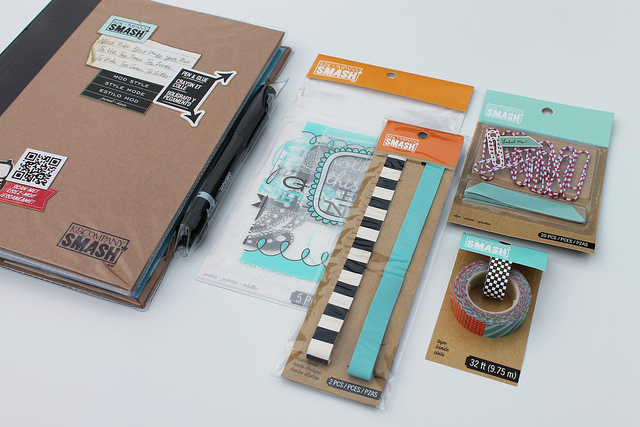 Scrap booking is something that is on my todo list, your giveaway is inspiration! Puede participar de cualquier lugar del mundo? soy de argentina,me anoto por las dudas. Wow! I only found you now through the Instax post you posted before this, and I love how the photos have draws on the edges. It's such a simple but very cute idea! Therefore would love to enter this giveaway, and I am following the blog + pinterest! happy blog birthday Caroline! I love your photos and your scrapbook is just lovely. I'd love to take part in your giveaway. hi caroline! happy blog birthday!! 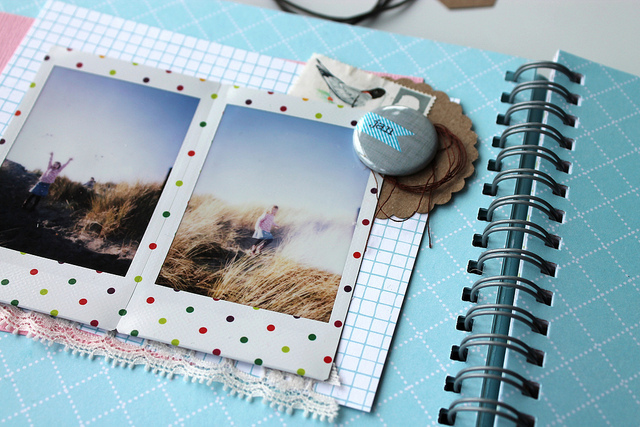 Scrapbooking is a really (lost) art and I adore what you do, though I don't usually leave comments here. Happy Anniversary! I started blogging in much the same way - admiring blogs from the comfort of the sofa before deciding to have a go. I remember being very nervous but in no time at all I took to it like a duck to water. The giveaway, you can count me in! happy blog birthday Caroline! Lovely goodies too! Happy blog birthday Caroline, your giveaway looks ace, what a lovely idea! Happy birthday to your blog Caroline. I am glad you started yours, I do love to stop by and admire your beautiful photographs. Love the giveaway. I've never really explored scrap booking but something tells me it would be a hobby I would love! The Smash book would be perfect for me -- I never seem to get around to really scrapbooking --- but I would love a more informal way to track our family's journey. That thinds are beautiful!! I want it all!!! I´m already follower of you!! Happy blog birthday - I think my fourth (or is it fifth one?) is coming up soon. 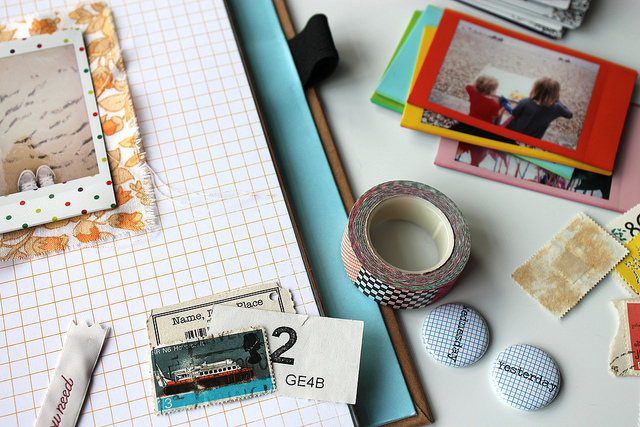 Do you know I have never done any kind of scrap booking at all - you make it look ever so lovely though. I've got great plans with the fabric you sent me - I'll show all when I get it all together in my head. I love your blog! you've really inspired me :) count me in too! Happy birthday!!! I love everything!!! Folowing you, this is so cute, thanks for the chance! Great prise and great blog! choose me! I've had a crush on the SMASH stuff for awhile! !